I think we are finally figuring how to slow down and work together on this journey of discovery and renewal. Thirty five years of marriage and we still need to occasionally remember how to work as a team and not as competitors. We left the Walmart in Albert Lea at about 0800 this morning. But we weren’t alone last night. 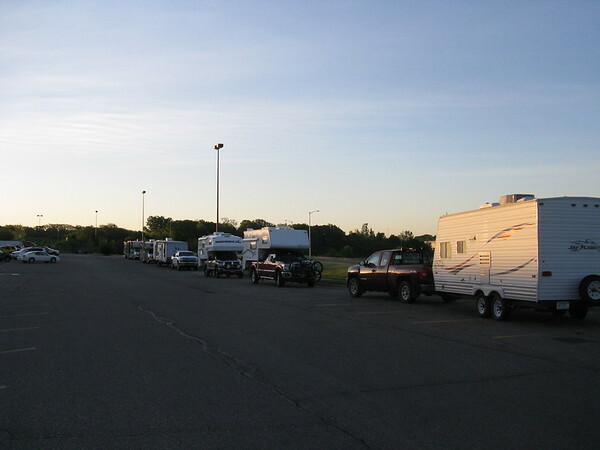 The Albert Lea Walmart is a popular spot for we itinerants. We went to bed with one neighbor and woke up with five. The countryside is getting more interesting as we continue to head north toward US Route 2. U.S. Route 2 or U.S. Highway 2 is an east–west U.S. Highway spanning 2,571 miles across the northern continental United States. Our plan is to intersect with Route 2 on our westerly journey to 89 into Alberta. But the land is still far flatter than our beloved Vermont. 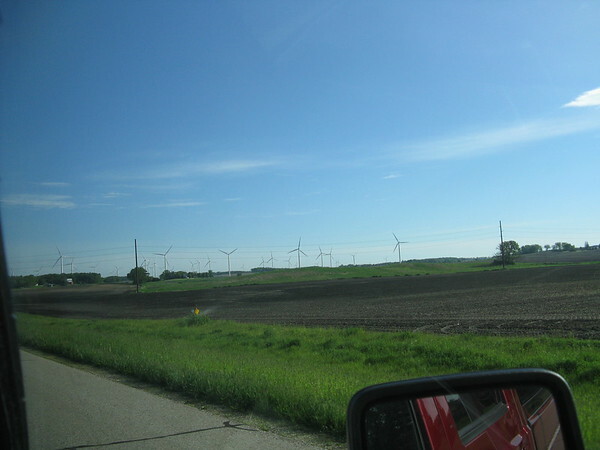 I wonder if they have the same arguments about windmills as we do? These stretched for miles and miles but on flat land with no ridgelines. One thing we have been frustrated with is there is no way to tell how much gas in left in our propane tanks. 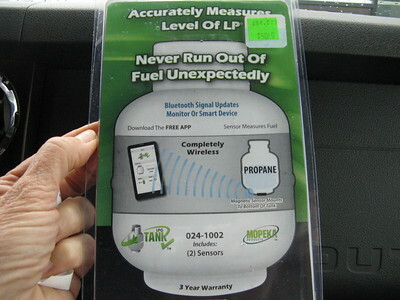 We have been on the hunt for a new and very nifty gauge that works with a cell phone app to tell you how much propane is left in your tanks. 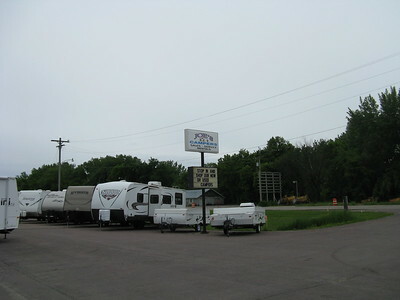 Joe’s Campers in New Ulm gets 5 stars from us. They had the gauge. 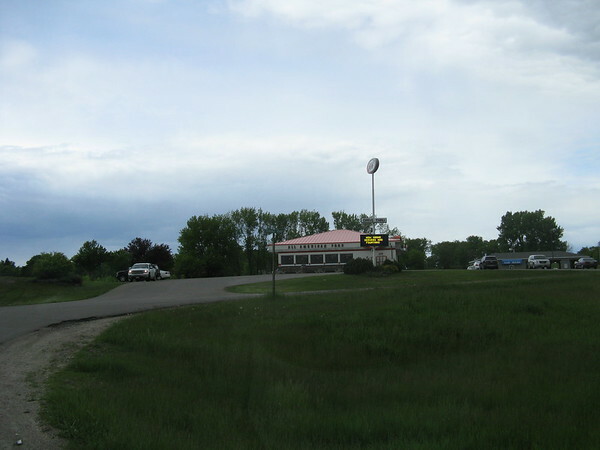 When I was growing up in Northfield, there was an A&W just beyond Norwich on Route 12A. I have fond memories of real root beer in ice cold mugs – but A&W’s in Vermont are much like the DoDo bird – extinct. To our delight, Minnesota has managed to preserve a small but important part of history. We had to stop for a root beer and onion rings. It was just as good as I remembered. Minnesota has an abundance of wildlife and lakes. 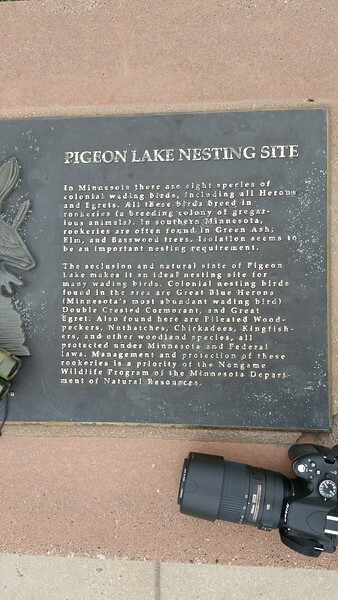 We stopped at an overlook between Mankato and New Ulm and were surprised to find this nesting area full of birds. 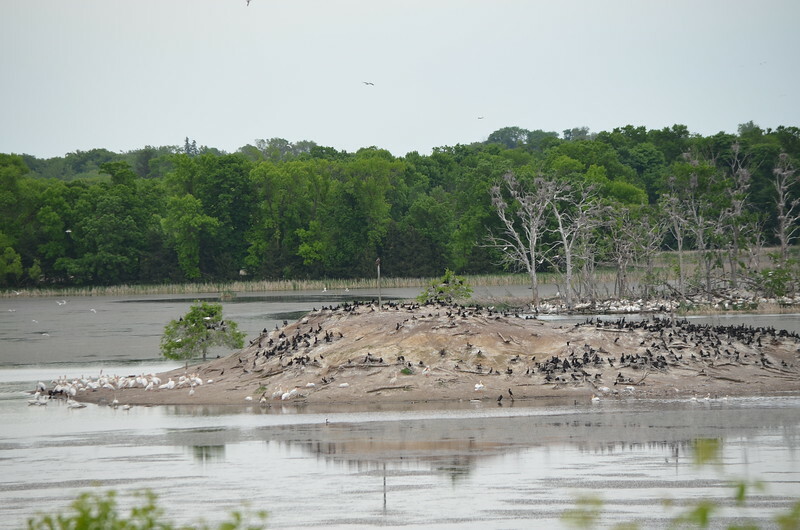 Helen grabbed the long lense for the camera and was able to get a decent shot of the island just full of nesting birds. Did I mention that the roads are straight and narrow? This stretch was probably 5 miles long without a single curve. 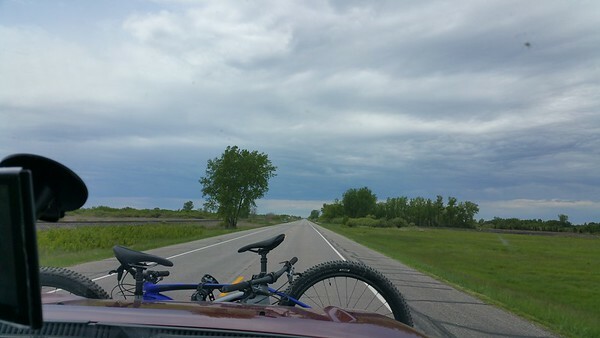 One wonders if Minnesotans are just as straight and narrow as their roads? Are you taking Rt2 across northern Montana ? That is the plan Roy. Any plans to stop for the day around Havre or Shelby + or -…….?? I live south of Havre and Shelby by about 1.5 hours……..maybe could run up there to say hi…..